The Halsey Institute of Contemporary Art is organizing a multi-faceted showcase of American artist and musician Lonnie Holley. The comprehensive project features a residency, exhibition, video, concert, and monographic catalogue. This exhibition is Holley’s first solo museum exhibition since 1994. The exhibition will feature a selection of the artist’s assemblage works since the early 1990s, with an emphasis on recent work. For the residency, Lonnie Holley will create works on site, as well as visit with several K-12 school groups and College of Charleston classes. The exhibition will be on view from August 22 – October 10, 2015 with an opening reception celebration at 6:30pm on August 21. 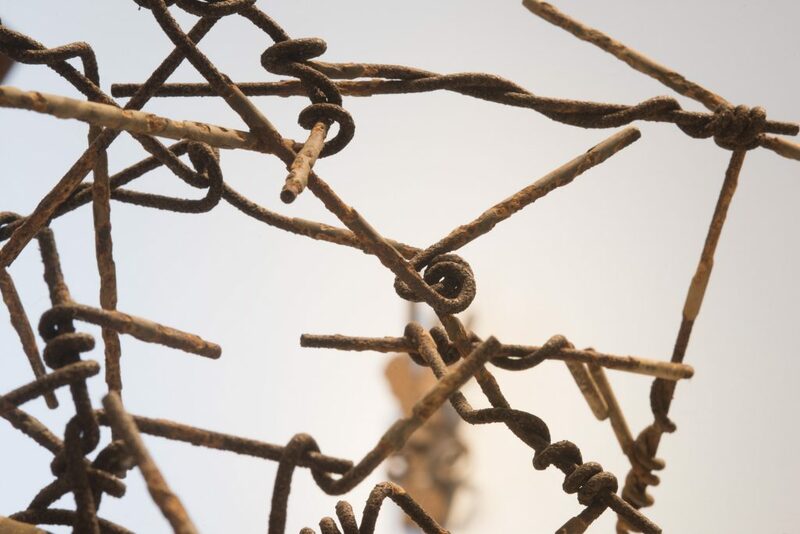 Lonnie Holley will also have three works on view in the Rotunda of the Marlene and Nathan Addlestone Library concurrent with the exhibition within the Halsey Institute galleries. This project is supported in part by the Friends of the Library at the College of Charleston, as well as grants from the National Endowment for the Arts and the Elizabeth Firestone Graham Foundation. The exhibition is a visual arts offering of the MOJA Arts Festival, which is produced by the City of Charleston Office of Cultural Affairs. See below for our video SOMETHING TO TAKE MY PLACE: The Art of Lonnie Holley by John Reynolds and Lee Donaldson, created for Holley’s exhibition at the Halsey Institute. Free and open to the public. Halsey Institute Director and Chief Curator Mark Sloan will lead a walk- through of the exhibition with the artist and discuss his work and life. Free and open to the public. Lonnie Holley will talk with visitors and lead them in creating small assemblage works from found objects gathered from the city. Participants can bring their own materials to work with or use some provided. All ages are welcome! Free and open to the public. Something to Take My Place essayists Leslie Umberger, Bernard L. Herman, and Theodore Rosengarten will walk through the exhibition with visitors and discuss their varied approaches and impressions of Holley’s works. In addition to Holley’s exhibition inside of the Halsey Institute galleries, he will be performing at the Charleston Music Hall with cellist Ben Sollee and multi-instrumentalist Infinitikiss. Join your fellow Halsey Institute Members for an exhibition tour led by Halsey Institute Director and Chief Curator Mark Sloan. A believer in the constant renewal of art and life, as well as the rebirth and transformation of seemingly everyday or discarded objects, Lonnie Holley’s own life story is its own personal renaissance. Born one of twenty-seven children by the same mother in Birmingham, Alabama; Lonnie remembers being traded for a bottle of whiskey at a young age. A collector of found objects since his childhood, it wasn’t until the death of his two nieces from a house fire in 1979, that his artistic career began to take shape. Intending to use carved sandstone and everyday kitchen tools as tombstones for the girls, Holley’s creative career began as he reworked large pieces of sandstones. Collectors and museum directors began taking note of Holley’s evolving artistic output, and many of his pieces are a part of collections of museums such as the Whitney Museum of American Art, the Metropolitan Museum of Art, and the Smithsonian Institution. Ever poetic about his artwork and stories drawn from his own life experiences, Holley has also been a prolific and eclectic musician, touring internationally for many years. Holley has been making and recording music privately since the early 1980s, mostly on keyboards and with recording devices he sourced from flea markets and thrift stores. He made his first professional recordings in a makeshift recording studio in a church in Gee’s Bend, Alabama in 2006. In 2010, he went back into the studio to record what would be his debut album, Just Before Music, which came out in 2012. In 2013, his follow-up record, Keeping a Record of It, was released. Both albums were released on the Dust to Digital label. His records made many critics Top 10 lists, including those of the Chicago Sun Times (#2) and the Washington Post (#4). The Vinyl Factory, a magazine devoted to writing and covering music released on that medium, named Holley’s two records the best vinyl releases of the year. His music has been featured in Mojo, Pitchfork, NPR Music, New York Times, The Fader, The Wire Magazine, Washington Post, and many others. He continues to perform live and record as often as possible. Though Holley is a solo musician, he often performs and records with a variety of other artists. Artists who have performed or recorded with Holley include: Bradford Cox (Deerhunter), Cole Alexander (Black Lips), Richard Swift (the Shins, Black Keys), Kelly Pratt (Beirut, Arcade Fire, the Antlers), Dave Hartley (War on Drugs), Daniel Lanois, Brian Blade, Sinkane, Dave Portner/Avey Tare (Animal Collective), Will Glass (Dirty Projectors), Lori Goldston (Nirvana, Earth), Bill Callahan, Matt McCaughan (Bon Iver), Brad Cook (Megafaun, Sharon van Etten), Lizzi Bougatsos (Gang Gang Dance), Steve Gunn, Josh McKay (Deerhunter), Jim White, Ben Sollee, Doria Roberts, Gillian Rivers, Mammane Sani, Jenny Hval, Marshall Ruffin, Julia Haltigan, Steve Nistor (The Avett Brothers, Iron&Wine, Portugal.The Man, Danger Mouse), Danny Meyer and Corey Fogel (Julia Holter), among others. Holley has toured with Deerhunter, Bill Callahan, and Daniel Lanois. He has toured extensively throughout North America and Europe, and has performed at music festivals as diverse as Pickathon, Big Ears, Hopscotch, Into the Great Wide Open, End of the Road, and many others. This summer, he will be performing at the Meltdown Festival in London, curated by David Byrne. 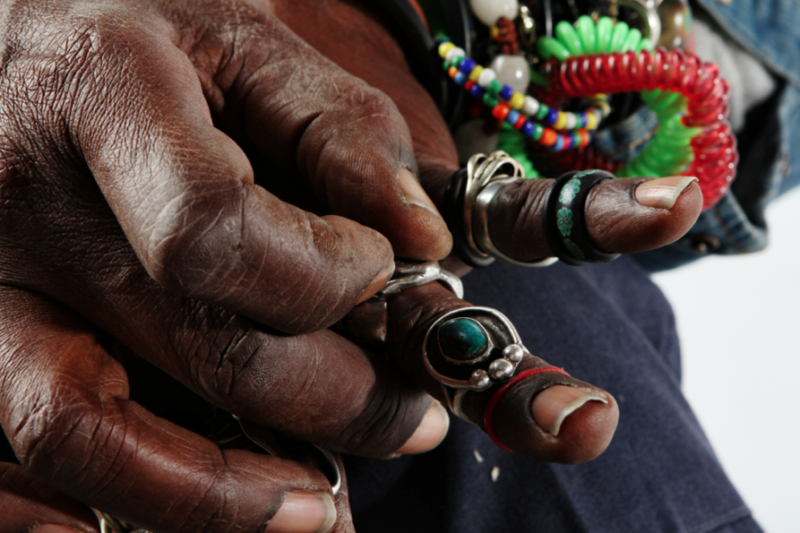 To accompany the exhibition, the Halsey Institute has published the first monograph of Lonnie Holley’s work. The catalogue contains essays by Mark Sloan, director and chief curator of the Halsey Institute of Contemporary Art; Leslie Umberger, the curator of Folk and Self-taught Art at the Smithsonian American Art Museum; Bernard Herman, Distinguished Professor of Folklore at the University of North Carolina at Chapel Hill; and an “as-told-to” autobiography by noted oral historian Theodore Rosengarten. The publication contains reproductions of over 70 of Holley’s assemblage works and provides a comprehensive overview of Holley’s art, life, and philosophy. With photographs by John Bentham, the book was designed by award-winning graphic designer Gil Shuler, and edited by Mark Sloan. The catalogue will be distributed internationally by D.A.P. (Distributed Art Publishers). To purchase the exhibition catalogue click HERE, You can also stop by the galleries or call (843) 953-4422. Halsey Institute Members receive 20% off publications and all Halsey Institute merchandise. Lonnie Holley has written descriptions of his pieces in the exhibition. He presents his concepts poetically, utilizing memory and storytelling to catalyze thought. The power of Holley’s work derives from the multiple associations brought forth by new juxtapositions and innovative combinations of familiar objects. We have created and in-gallery guide that contains Holley’s thoughts and descriptions. These statements are also available in the Something to Take My Place exhibition catalogue.